Dr. Yvette Galloway has served as the Director of the Academic Advising Center at Bowie State University since August 2011. She has a Doctorate in Higher Education Administration from North Carolina State University and is the product of an HBCU, with a Baccalaureate Degree from Lincoln University, PA.
Dr. Galloway has worked as a manager of higher education programs and services for nearly 30 years, serving in both Academic and Student Affairs at community and four-year colleges. Mr. Allen D. Mosley joined Bowie State University in 2012 and serves as an Academic Advising Specialist and Coordinator of Special Populations (BSU Male Initiative Program, Athletics, and Band). He has over 25 years of experience working in colleges, universities, graduate and professional schools as a counselor, manager, and director. His experiences expand across a variety of student services -- including Admissions, Enrollment Management, Records, and Advisement. Mr. Mosley is an alumnus of Towson State University where he earned a bachelor's degree in Sociology/Psychology and an alumnus of Coppin State University where he earned a master's degree in Adult Education, Administration and Supervision. 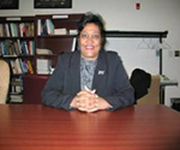 Ms. Gloria C. Alexander began service as an academic advisor in 2011. Before joining Bowie State University, Ms. Alexander worked for the University of Maryland University College (UMUC) in Undergraduate Programs managing budgets, assisting faculty, and students. She also served in the United States Army and worked for the Federal Government. Ms. Alexander holds a Master of Arts in Human Resource Development from Bowie State University and a Bachelor of Science in Psychology from University of Maryland University College. In addition to advising first and second-year students, Ms. Alexander teaches Freshman Seminar and mentors students. Dorsha Goodman joined Bowie State University in 2012 and currently serves as the Coordinator for Freshman Advising Programs and Freshman Seminar courses. She has over ten years of experience in academic and retention advising at both community and four-year colleges. Dr. Goodman recently completed her doctorate in Higher Education from Morgan State University and is an alumnus of Norfolk State University where she earned a bachelor’s degree in Interdisciplinary Studies and a master’s degree in Urban & Community Guidance and Counseling. 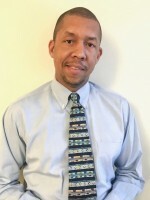 Dr. Michael Hughes, Ed.D., is the Coordinator of Disability Services and has worked at Bowie State University for the past 13 years. Dr. Hughes is an alumnus of the university of which he received a BA in Psychology. Dr. Hughes also holds a MA in Clinical and Community Psychology from the University of the District of Columbia and a Doctorate in Educational Leadership from Bowie State University. He is a true advocate of education for all who have the ability and wish to pursue it. Dr. Hughes is also an Instructor of Freshman Seminar. 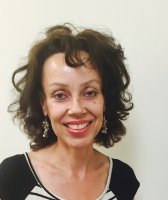 Aura Gardner joined the Academic Advising Center in November of 2014. Ms. Gardner has over 25 years of experience working with undergraduate and graduate students. During that time, she has had the honor and privilege of advising and teaching students who have made great accomplishments. Ms. Gardner is very knowledgeable in program design and review and has an extensive background in advising students on educational and career options. She has worked in mentoring students who are at risk and provided support and guidance as needed. In addition, she also teaches the Freshman Seminar course and is the Coordinator of Curriculum Management. Ms. Gardner is an alumnus of Bowie State University where she earned a Bachelor’s Degree in Business Administration and earned a Master’s of Science Degree from Central Michigan University. Dermaine Wardrick joined the Academic Advising Center in 2017. He has over 15 years of direct customer service experience to include advising and coaching traditional and adult students through their journey in higher education. Prior to joining Bowie State University, Mr. Wardrick served as an advisor with University of Maryland University College (UMUC). He is an alumnus of an HBCU with a BS in Media Arts from Coppin State University. He also holds a MS in Public Relations and MBA from UMUC. In addition to advising students, he also teaches freshman seminar.